In the last 8 years, I have written two books to help business leaders build God’s kingdom in business and I would love your help to use the power of social media to help me spread the word. My first book, The Make It Happen Journey, practically encourages and equips business leaders with nine Make It Happen Team Values to create a culture of empowerment that reaches all the people on a team and unleashes their extraordinary God-given potential to make a real difference in life. 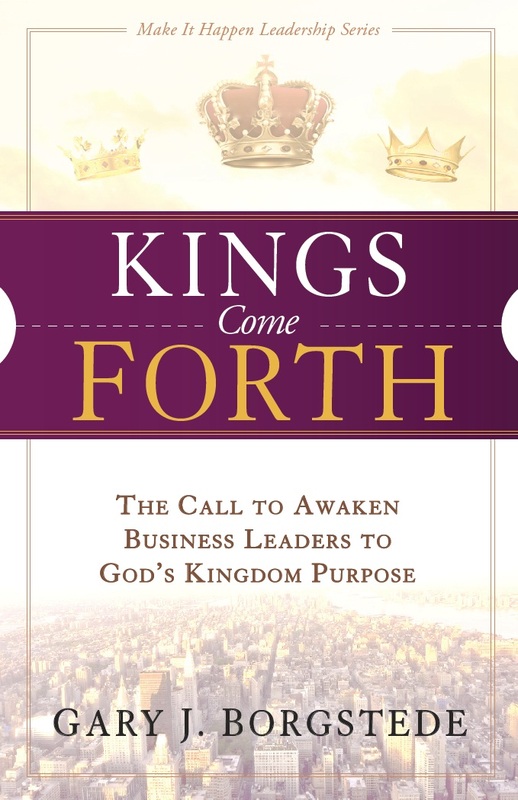 My second book, Kings Come Forth, practically engages and empowers business men and women to be effective spiritual leaders in business by fulfilling their God-ordained assignments in the kingdom of God. There are three offices of spiritual leadership in the kingdom of God – Priest, Prophet, and King. Kings Come Forth focuses on the spiritual leadership role and responsibility of Kings which are the marketplace men and women leaders in the modern-day world. Go to the bottom of this page and click on one of the social media share buttons to easily share this Help Me Spread The Word page with your friends, family, and colleagues. Click on Press Release to read the official Kings Come Forth press release and also share it with your friends, family, and colleagues. Watch the 30 minute Introduction To Make It Happen Team Values video by Clicking Here when you have the time and want to be encouraged to take The Make It Happen Journey with your team. Lastly, as a gift of my appreciation for your precious time to help me spread the word and build the kingdom of God in business, please Click Here to receive a FREE Chapter of Kings Come Forth titled The Great Distinction of Kings. If you have helped me use the power of social media to build the kingdom of God in business by sharing this Spread The Word page with others, please let me know by posting a comment below and I will enter your name for the chance to win a personal signed copy of The Make It Happen Journey for each member of your team (up to 12 members). Many blessings! excellent information you have got here on this post. I am returning to your web site for more soon. come back down the road. I want to encourage you to ultimately continue your great posts, have a nice weekend! link using your blog title: Ηelр Me Sρread The Word And Build God�s Kingdom In Business . Plеase be sure to let me know if this is acceptable with you. Elles augmentent le volume de selles, diminuent l’absorption des graisses et des glucides et en plus elles coupent l’appétit. Ces crèmes travaillent en raffermissant et en remontant vos seins avant qu’ils ne perdent leur soutien tissulaire due à la perte de poids.